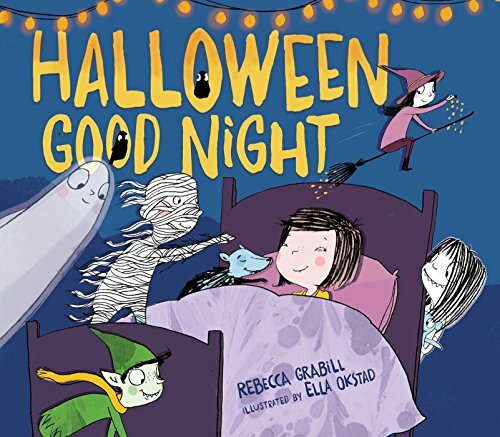 "Grabill makes an oft-adapted rhyme feel utterly fresh..."
Grabill makes an oft-adapted rhyme feel utterly fresh. . . . Okstad’s scraggily rendered monsters are pink cheeked and cuddle worthy—the book captures the mischievous fun of Halloween, without the accompanying terror. Grabill and Okstad populate the familiar song ‘Over in the Meadow’ with all manner of beasties and ghouls and things that go bump in the night. . . . A Halloween song that can break up the ghostly tales at storytime. The whimsical illustrations and poetic text will hold your preschooler’s attention for the whole story. A gentle intro to some of Halloween’s top characters . . . it’s perfectly non-scary. A fun storytime read-aloud that’s just right for the youngest Halloween revelers. How cuddly is a werewolf? Are wood imps real? Where do vampire myths come from? How long have zombies been alive—in our imaginations? How did ghosts help ancient greek philosopher Athenodorus? All the crafts and free printables to make your Halloween reading spooktacular!